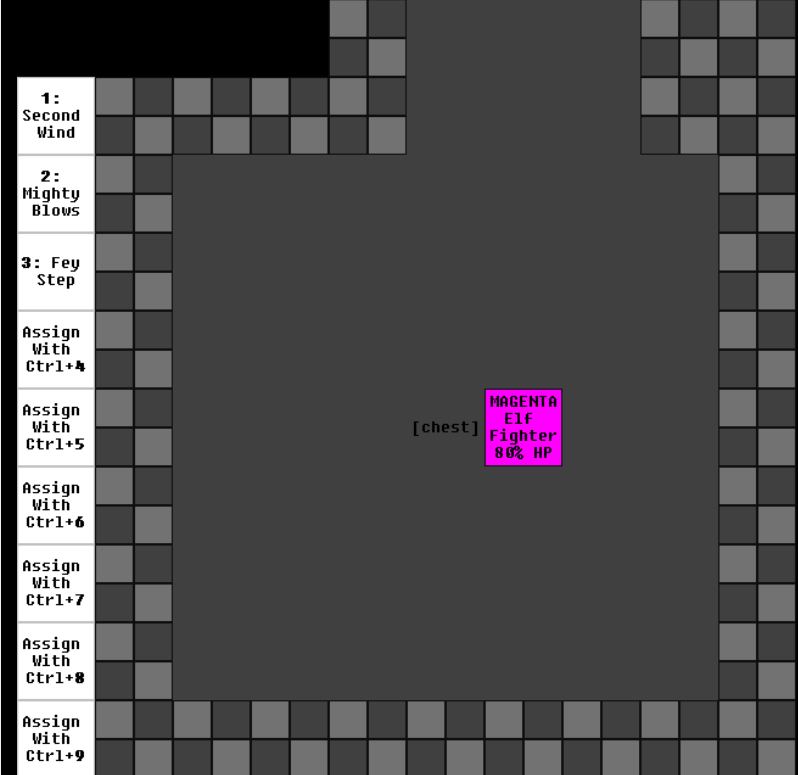 RealmLike is a Rogue-Like/MUD-Like game, a (semi-)graphical Multi User Dungeon that takes the idea of text-based graphics as present in such classic dungeon crawlers as Rogue and Nethack, and updates them for the 21st century. No longer do you have to look at letter D ominously approaching your squiggle on the screen and wonder if that's D for Dog or D for Dragon. No, with state-of-the-art computer video game graphical display technology, RealmLike will just straight up tell you if it's a dog or whatever. The future is now! This is a very early test of a very young game. 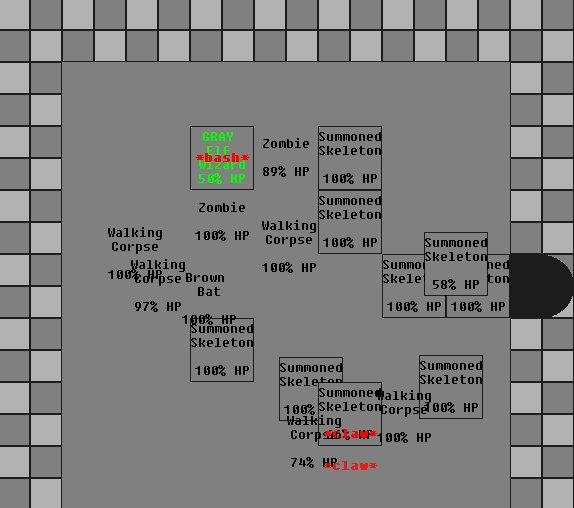 The dungeon environment is a bit repetitive as a result, as are the foes and treasures. Levels within classes are currently capped to the highest level defined in their progression. You can progress past this point by multiclassing. In-game accessible with F1. 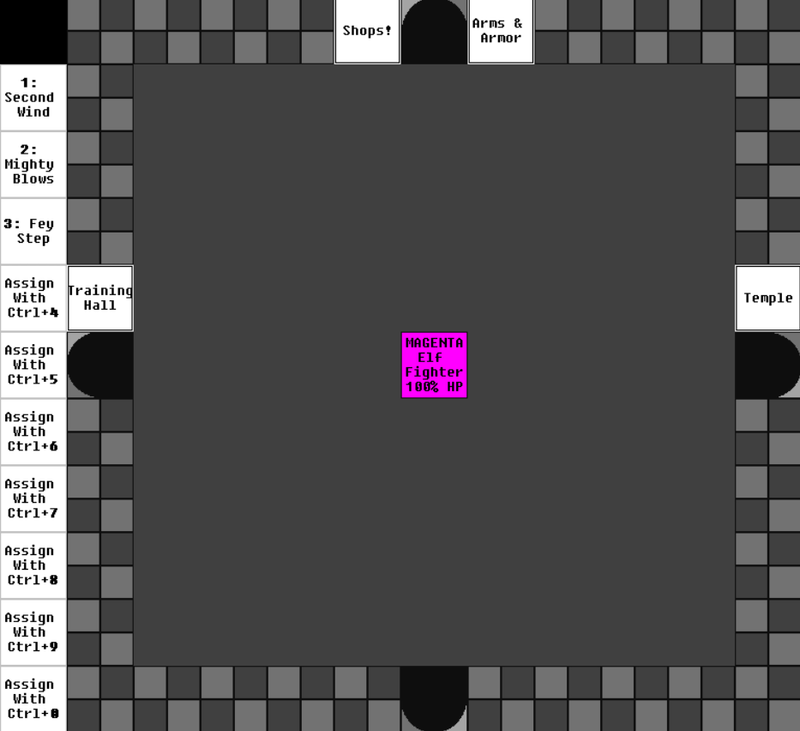 The contextual help menu it provides is currently a bit spotty but can fill in some of the gaps on documentation while things are in flux due to ongoing development. Character saving is currently a thing during sessions, but expect the test server to be frequently wiped. Permadeath and PVP are both currently turned off. 3 additional saved characters on the public test server. Occasional access to private test server with latest build. Ongoing access to the latest stable build. BYOND members can create 2 additional saved characters on the test servers.